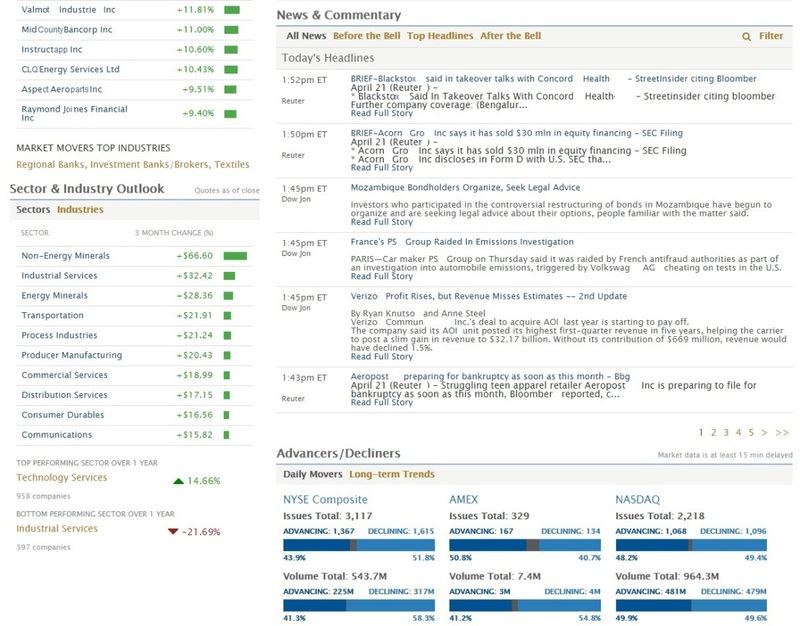 Upon logging into your account, the first page you will see is the "Overview/Summary". From this page, you may view a snapshot of a single account, or an aggregate of all accounts combined, by making a selection in the "Viewing" drop-down box. To view a new page, make the selection in the top-navigation menu. Click on either: Portfolio, Transact, Research, Tools, Communications, or click on the Customer Service Rep image at top left for contact and other information. A sub-navigation menu will then open to make a further selection. 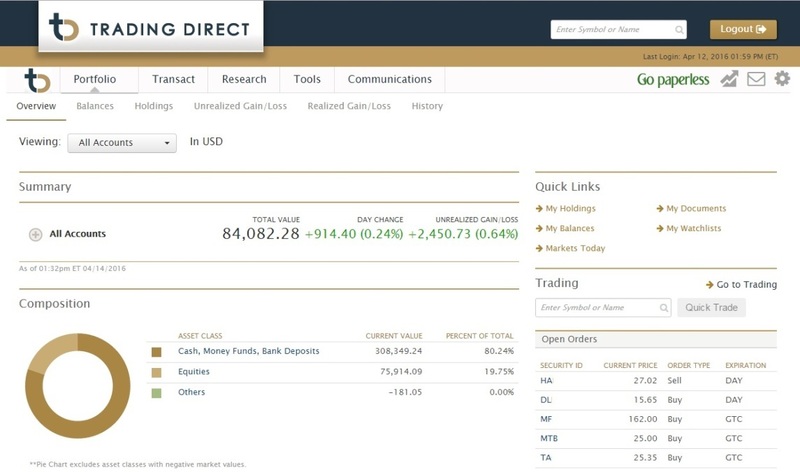 (Portfolio choices displayed in screen-shot below). Other top-navigation choices at top-right are for E-delivery (Go Paperless icon), Major Market Indicies (up arrow icon), Messages (envelope icon), and Account Settings (gear icon). 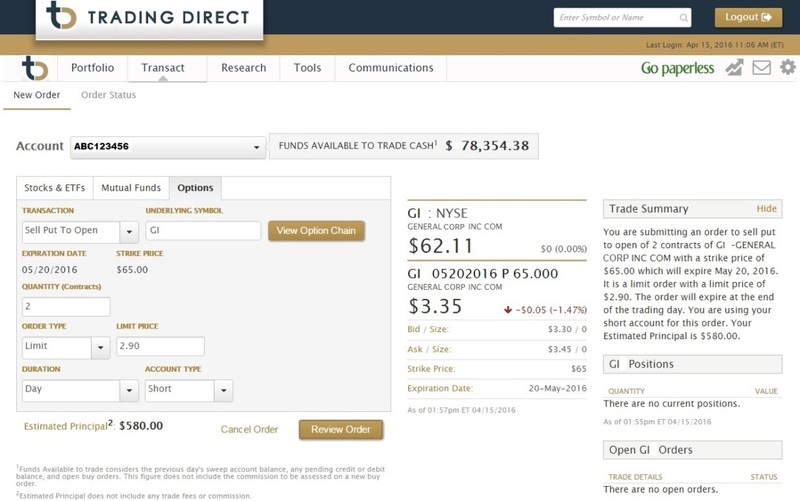 Content displayed in above images copyright 2016 Pershing LLC, and copyright 2016 Trading Direct, a division of York Securities, Inc.
From the Balance screen, view the credit or debit balance, along with the current market value of positions held, and the net equity, either in a single account, or the aggregate of all linked accounts. 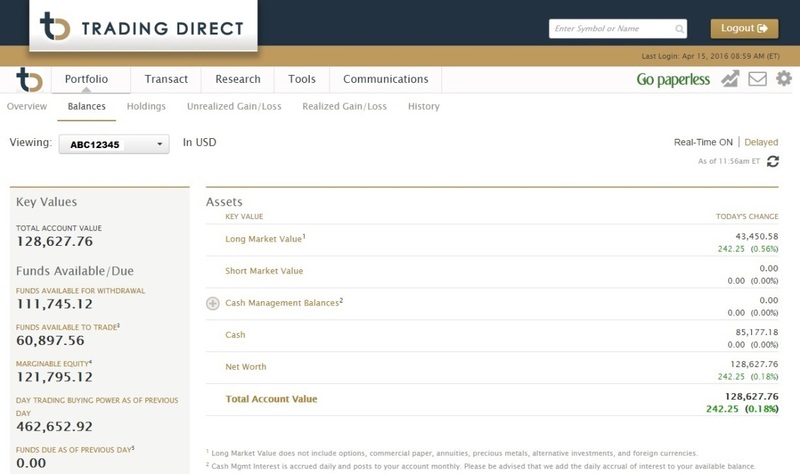 Margin account holders may also view the margin buyer power, day-trade buying power, withdrawable funds, and any funds due figures in the "Key Values" section on the left-hand side of the screen. 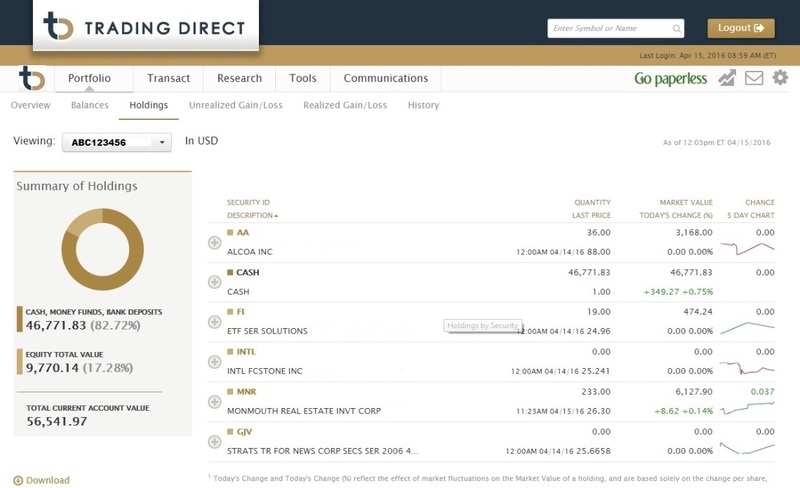 From the Holdings screen, view the current holdings for a single account, or an aggregate of all accounts linked. From the History screen, view all, or a specific type of entry in a single account or group of linked accounts. This screen may also be filtered by time period and symbol. 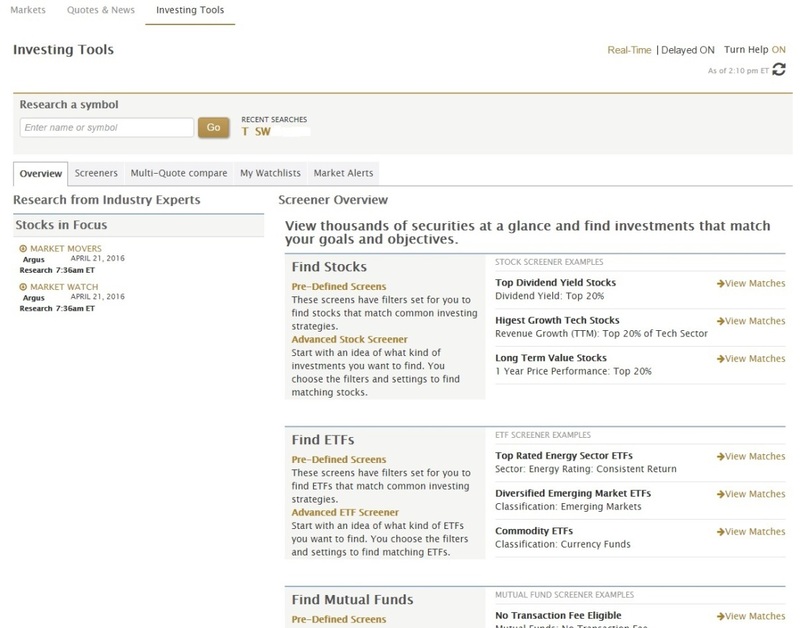 Use the 'Stocks & ETFS' screen to enter equity orders for common stocks, preferred stocks, and ETFs. 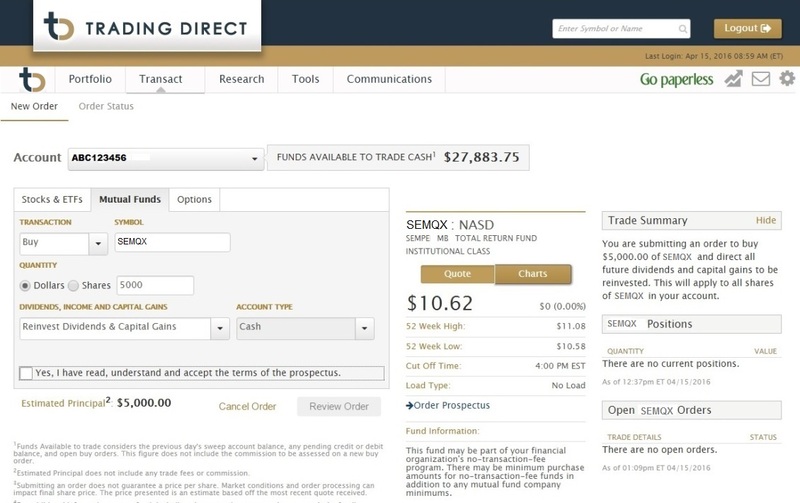 Use the Mutual Funds screen to input your open-end mutual fund (5-letter symbol ending in "X") orders. Use the Order Status screen to check the status or attempt to edit or cancel an order. 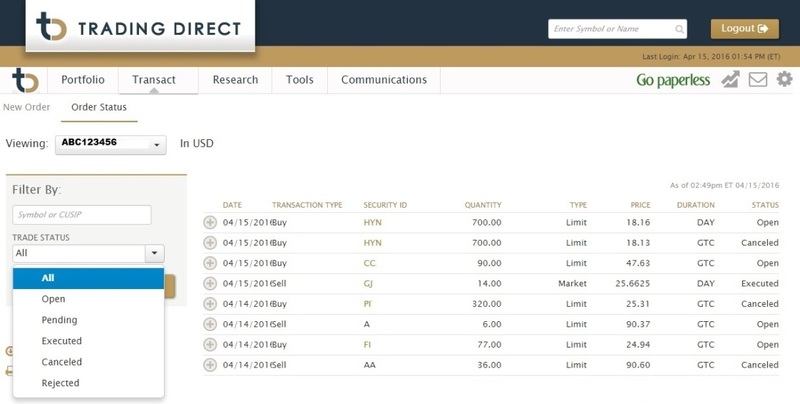 This screen may be sorted by the various column headings, and filtered by trade status or symbol. Use this section of research to view pages for quotes, news, headlines, and third party research reports. 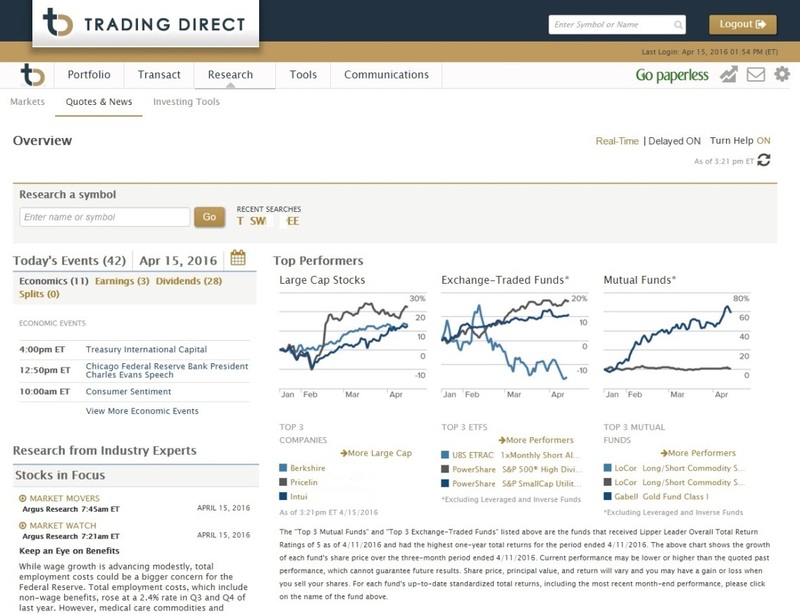 Use this section of research to view pages for screeners, comparisons, watch lists, and to set your custom alerts. 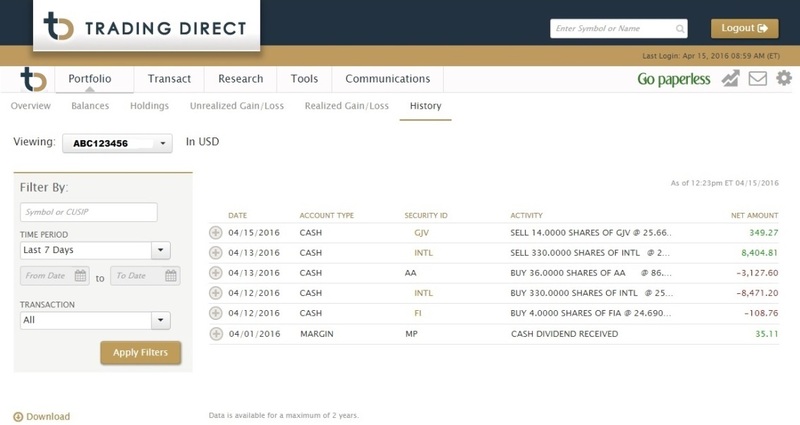 * The Research content shown above is provided to clients who meet a minimum level of account assets or commission revenue.